Several weeks into the school year is when the wear starts to show. The initial excitement has worn off and there’s homework and routines and maybe even the first round of germs. Just like you evaluate how things are going at school after the first couple of weeks, so should you evaluate how things are going at home. Things at home, of course, may be just fine. But in case they are not – or in case it has become clear that small stresses in the home routine are affecting the school adjustment, it’s time to make some tweaks to the home routine. Of course you have set aside time and space for your child to do his or her homework. But how is that specific time and space going? Does your child have what he or she needs to get the homework done – including sufficient time? Are you often scrambling to pull things together? If your child is doing homework after dinner, would it make sense to move homework time before dinner? Or do half before and half after? All before dinner? Some other variation? You may have to try a few times to get the timing just right, but getting it right will help the rest of the home part of adjusting to the school year fall into place. Is your child getting sufficient downtime in his or her day? Does she get a break afterschool or before dinner or before bed to do something fun or enjoyable? Is there running around outside time, even for just 15 minutes? If you don’t have time carved out, even loosely, for your child to decompress after the school day, try to find some time. You could declare every afternoon at 5 to be Gin Rummy time and place a round of cards. Not only will your child have some down time, but your child will also have some important you time. How’s the home responsibility chart going? Does your child have appropriate chores for his or her age and can he or she get them done in a reasonable amount of time? Depending on what you have on the chart, your child’s adjustment to the school year may call for additions, subtractions, or adjusting when chores are done. If, for example, your child is supposed to empty the dishwasher in the morning, but it seems to be a challenge, can that chore wait until immediately after school? Finally, it your child getting enough sleep to be fresh and ready for school each day? Do you need to adjust the bedtime or the bedtime routine to allow for optimal sleep? If you haven’t already done so, figure out your child’s optimum lights out time by working backwards from when he or she needs to leave the house for school. Allowing for sufficient waking and dressing and breakfasting time in the morning, figure out your child’s rise time, then work backwards. Adolescents need 9 1/4 hours of sleep, upper elementary kids need about 10 hours in a sleep environment and younger elementary kids may need up to 11 hours. Once you have the lights out time, figure in the bedtime routine and go from there. Adjusting to the school year isn’t just about school. It’s about home, too. Now that school is underway, make sure the home adjustment is on track, too. 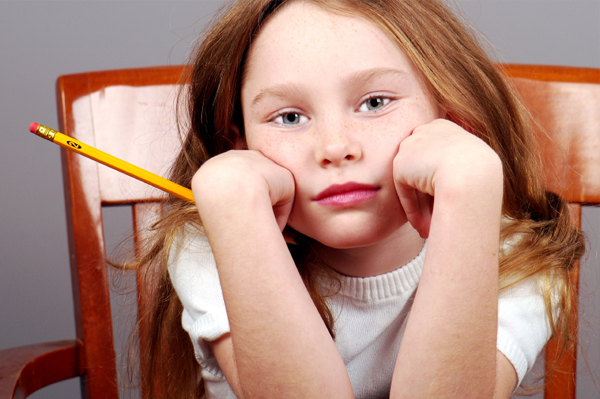 Are homework expectations realistic for our children?